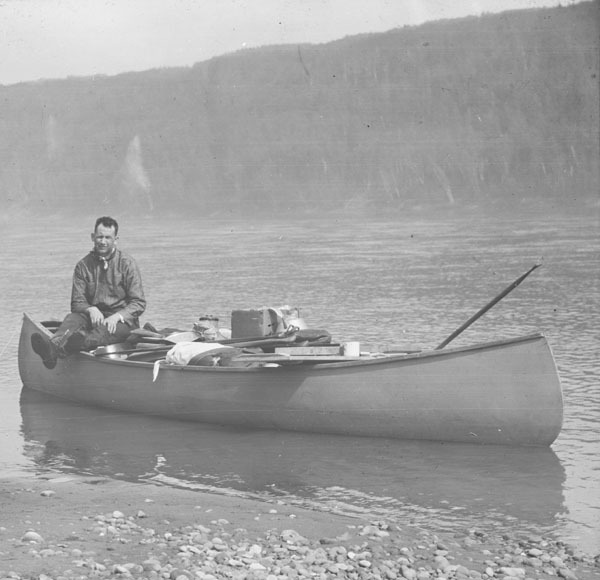 Harold Innis on the Peace River, 1924 — field work for his first local classic on The Fur Trade in Canada : An Introduction to Canadian Economic History. 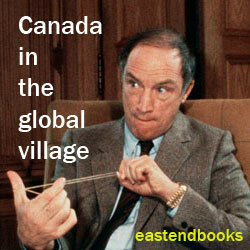 “Great Britain, the United States and Canada” is the title of a now 65-year-old essay by Harold Innis, Canada’s pioneering great economic historian (and the godfather of Marshall McLuhan). As winter at last gives way to spring north of the North American Great Lakes, a few vaguely parallel thoughts about our time today have been brought to mind by four diverse items in the news of the past few weeks. The first item — from a thematic if not strictly chronological standpoint — is an article by the British political scientist David Runciman, in the March 21, 2013 issue of the London Review of Books. As the print edition of this eminent publication notes, the article documents the recent occasion on which “David Runciman spoke about the crisis in American democracy at the second of this year’s LRB Winter Lectures” — in the still more or less magnificent old imperial metropolis across the sea. Up here in the Canadian true north, strong and free, where we still follow the rather different British model of what has come to be known as parliamentary democracy, we might be inclined to read “How can it work? David Runciman on American democracy” with something of the smug self-satisfaction we so often (and inappropriately) bring to such discussions. Lauren O’Nizzle, a young “super fan” of Harold Innis’s “Minerva’s Owl essay,” and many other remarkable things in Canada today. 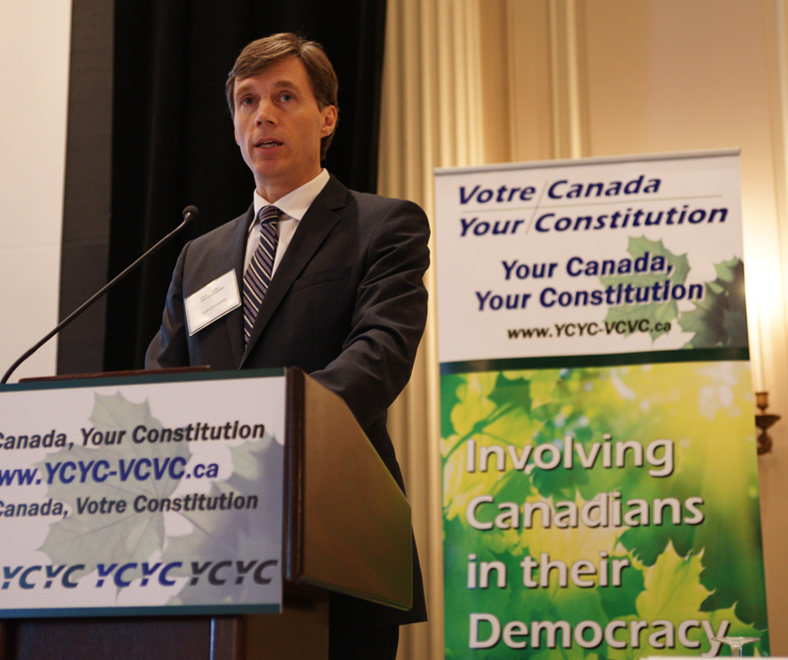 Duff Conacher at founding meeting of Your Canada Your Constitution last year. 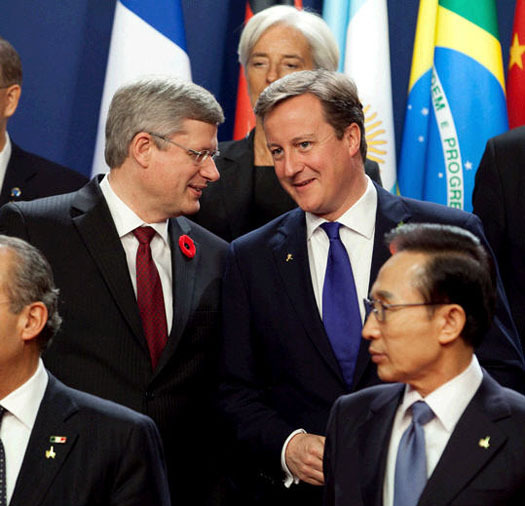 PM Harper and his sovereign. My own most immediate and visceral reaction to the poll’s finding that 55% of the 2,024 representative respondents Canada-wide chose “(a) Canadian born”, while only 34% chose “(b) British Royal family”, and 11% chose “(c) Don’t know/refused” is: How can it really be that as many as 34% still want to have the British Royal family as Canada’s head of state? 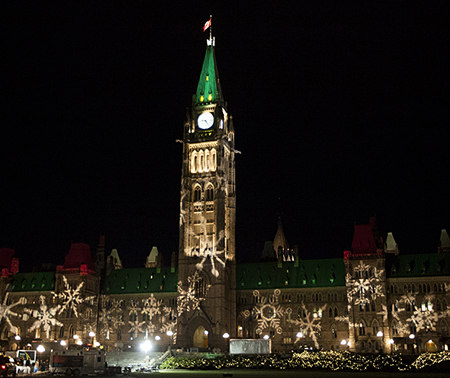 Canadian Parliament Buildings in Ottawa, December 6, 2012. On the one hand, consider these polling results alongside the almost pathologically strategic Stephen Harper’s apt enough short to mid term calculation that his Conservative Party can win a majority of seats in the Canadian House of Commons with less than 40% of the cross-Canada popular vote, overwhelmingly concentrated outside Quebec (and especially in Western Canada and Ontario outside Toronto). In this light you can start to appreciate the subtle cunning of his decision to revive such things as the name “Royal Canadian Navy,” and all that. 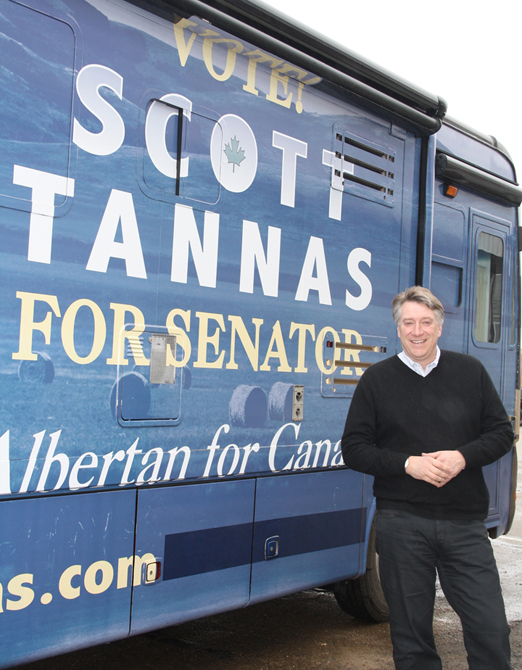 Senator Scott Tannas, on the campaign trail last April. At the moment it is rather difficult to imagine just how the Canadian history of the future will judge the prime ministerial career of Stephen Harper — which will have lasted for (as some see it) as many as nine all too long years by the time of the next federal election in 2015. His one undeniable achievement, it seems clear enough, will be to have brought Western Canada into the real corridors of federal power in Ottawa at last. 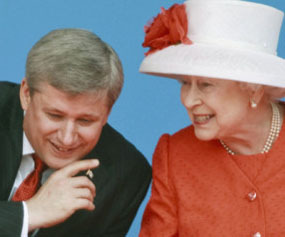 Yet his shorter term efforts to revive the now increasingly archaic and obsolete traditions of the British monarchy in Canada — in an effort to stiffen the support of the strategic minority of the Canadian electorate, on which his clever electoral calculations rest — already highlight his limitations in the kind of post-colonial nation building that the Canadian future still (almost desperately?) needs. At the same time again, PM Harper has at least kept a kind of half-faith with the one nation-building objective that has, so to speak, distinguished and even elevated the Western Canadian regional quest for real power at last, at the centre of the continually evolving Canadian confederation of 1867, from sea to sea to sea. 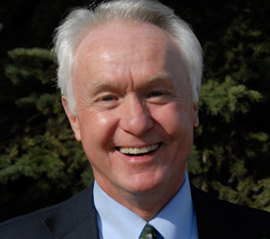 New Alberta Senator Doug Black. Nothing ever comes up roses all the time. As Sun News reported this past September: “In 18 months as chair of the University of Calgary's board of governors, Doug Black — elected as a Tory senator in waiting in April — filed $28,030.88 worth of expense claims ... That's a whopping 64 times what his predecessor claimed — in less than half the time.” He’ll probably feel at home in the still unreformed Senate of Canada. DAN ILIKA/QMI AGENCY. Moreover, in keeping with the principles of his Senate reform bill, PM Harper has managed to arrange that at least Alberta (where the modern Western Canadian quest for Senate reform has its symbolic heartland) now has two de facto democratically elected senators. Justin Trudeaum (l) and Martin Cauchon (r) embrace after the Liberal party's first leadership debate in Vancouver, Sunday, January 20, 2013. Another of Stephen Harper’s all too ambiguous contributions to the kind of nation building that the Canadian future still needs was his strategic engineering of the late November 2006 declaration by the Canadian House of Commons that the Quebecois constitute a nation within a united Canada. This uniquely Canadian concept, it seems clear enough, has proved not all that popular (to say the least) among the strategic Western Canadian and “rural Ontario” minority political base, on which the fortunes of the current Harper Conservatives depend. And the fact that PM Harper has drawn back more than a little from its implications is arguably another blot on his record as a potential Canadian nation builder — in an era where the real need for some kind of final stage in what the constitutional law professor Brian Slattery has called “the long process of decolonization that Canada has undergone since 1867” has become almost palpable. 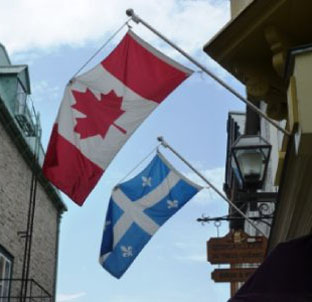 Quebecois nation in a united Canada. You don’t have to understand what this actually means to appreciate that bad news of this sort for Justin Trudeau arguably enough amounts to good news for Stephen Harper. What I think it means myself is that — along with the contemporary domestic nation-building themes of Senate reform and the quest for a Canadian head of state (and, no doubt, something about the role of the aboriginal peoples of Canada too) — we need to be more seriously contemplating just what the Quebecois nation in a united Canada means practically. Thomas Mulcair and the federal NDP have arguably come a little closer to fulfilling this need for the Canadian future, than either the Harper Conservatives or the (still, strictly speaking, potential) Trudeau Jr. Liberals. But among all parties and leaders in 2013 the failure to deal constructively with all of the head of state issue, Senate reform, aboriginal rights, and Quebec’s role in the confederation of tomorrow still constitutes what Harold Innis would call “further evidence of political lethargy” in Canada today — following the ancient lamentable traditions he wrote about 65 years ago! 4. Why isn’t David Runciman more impressed by the re-election of President Obama? 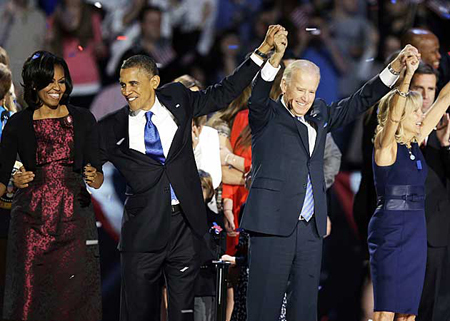 The Obamas and the Bidens celebrate their re-election this past November. AP Photo/Chris Carlson. It wasn’t that long ago that the great vain progressive hope in American politics was “Run Jesse Run,” set beside the incontestable truth that no kind of black man (even one who’s mother was white) could ever become president of the USA. Much more recently, the greatest objective of Obama’s most retrograde Republican opponents was to confine him to a one-term presidency. And, whatever else, they have undeniably failed in this! To me Runciman underrates the extent to which the re-election of Barack Obama presages the beginning of a new era in the history of American democracy, with a more diverse demographic base, and a more realistic agenda for American success (which is not the same as the always unrealistic national goal of “supremacy”) in a rapidly changing (and in most ways for the better) global village. In this same kind of universe I believe that what Harold Innis called the tradition of Canadian “political lethargy” will at least abate long enough to deal in some workable way with all of the head of state issue, Senate reform, aboriginal rights, and Quebec’s role in the confederation of tomorrow — now that Stephen Harper has at least and at last brought Western Canada into the corridors of power in Ottawa. 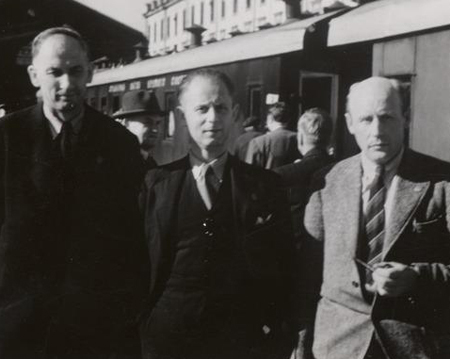 Harold Innis (l), Hans Seyle (c), and Alf Earling Porsild (r) on a visit to the Soviet Union, just after the end of the Second World War in 1945. In Canada, it seems to me right now at any rate, we have perhaps another generation (say to 2045) to put ourselves on more solid “national” foundations (in a political and certainly bilingual and multiracial but of course not in any ethnic or narrowly cultural sense). Strangely enough (perhaps again), the 2012 victory of Barack Obama in the United States seems to have strengthened my belief that, when all is said and done, the Canadian people will finally decide to carry on with the distinctive “free and democratic” future they have been oh-so-gradually and quietly building over the past 146 years. And the parallel future of the American giant next door will similarly prove more resilient and attractive than David Runciman currently seems to fear.